Last Sunday evening, the 2014 Golden Globe Awards were held in Los Angeles at the Beverly Hilton. American Hustle was responsible for the most wins (three, including best movie in the comedy/musical category); other multiple-category winners were Dallas Buyers Club, Brooklyn Nine-Nine, Breaking Bad and Behind the Candelabra. But of course, we all might be even more interested in the gowns spotted on the red carpet. One of my favorite looks was worn by Sandra Bullock. The brunette actress went for a bright gown, sporting a striking pink, black and blue Prabal Gurung dress teamed with Lorraine Schwartz jewelry with her hair pulled into a side ponytail. YOU CAN ORDER SANDRA BULLOCK’S COLOURFUL DOUBLEFACE SATIN V-NECK GOWN HERE. 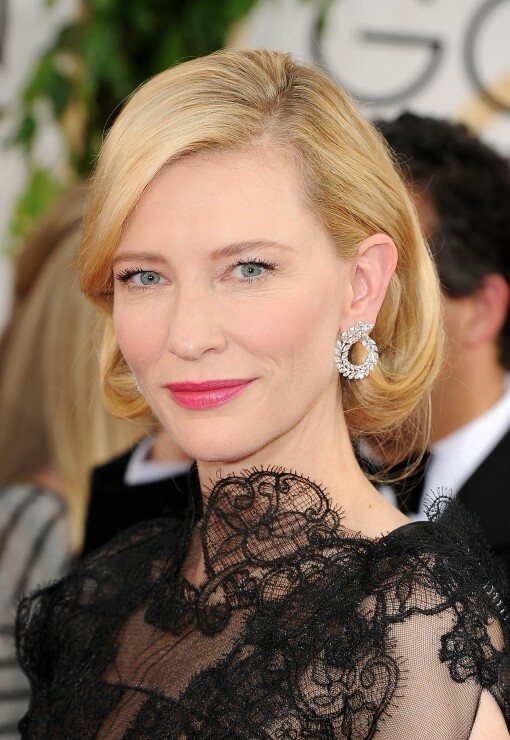 Fellow nominee Cate Blanchett took home the award for Best Actress in a Motion Picture – Drama for her role in Blue Jasmine and striked a pose in amazing lace backless Armani Privé couture gown. Personally speaking, this is how a winner should look like! Her makeup was done by Jeanine Lobell who used NARS Love Blush from the Final Cut Collection along with Eyebrow Perfector and Brow Gel. 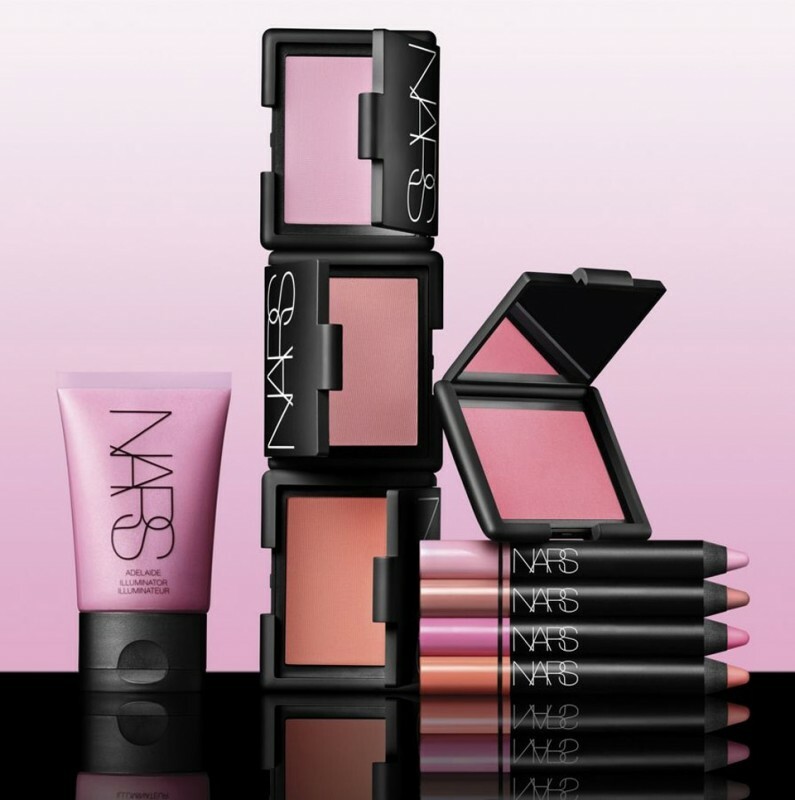 NARS Final Cut Collection for Spring 2014 (coming out in February). 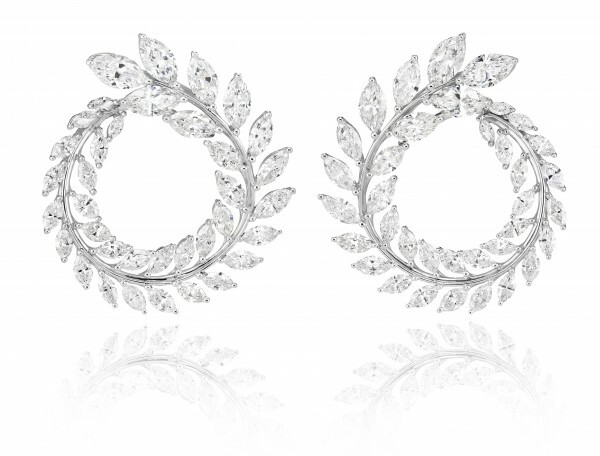 Bringing world class sustainable luxury centre stage, the blonde actress paired her couture gown with a pair of earrings from Chopard’s Green Carpet Collection, featuring marquise-cut white diamonds (11 carats) set in a laurel design, crafted in 18-carat Fairmined white gold. She also selected a white diamond line bracelet (35 carats) set in platinum, and a white diamond ring featuring three stacked rows of brilliant-cut diamonds (6 carats) set in 18-carat white gold. Founder of the Green Carpet Challenge (GCC), Livia Firth says, ‘Cate Blanchet is both a fashion icon and a woman with an intuitive grasp of the issues that matter. By choosing to wear Chopard jewels for the Golden Globes, she is supporting a profound and dynamic shift toward sustainable luxury that affects change right at the beginning of the supply chain among artisanal miners.’ If you like to find out more about the dynamic project, please click here for a previous post.